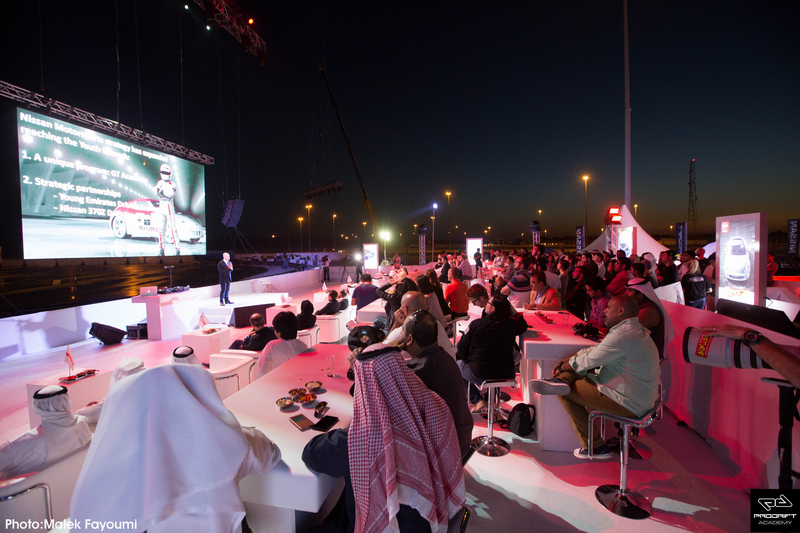 The Prodrift Academy, the world’s number one drift experience and training school has today announced that the Academy will be launching in Riyadh, Saudi Arabia in October 2015. 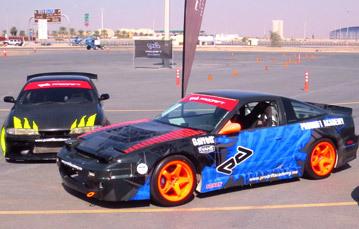 The Academy has already established bases in Ireland and Dubai, and the addition of a Saudi Arabia location is testament to both the growth of drifting as a motorsport within the Middle East and also to the reputation that the Prodrift Academy holds internationally. 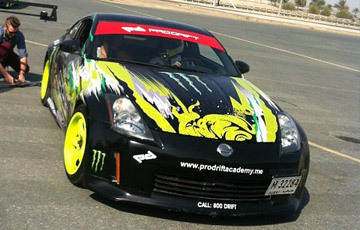 “The Prodrift Academy began operations over 6 years ago in Ireland, and just under 3 years ago in the UAE. Over that time we have worked hard to develop and refine our course offerings and facilities to ensure that student’s time at the Prodrift Academy is an experience like no other. 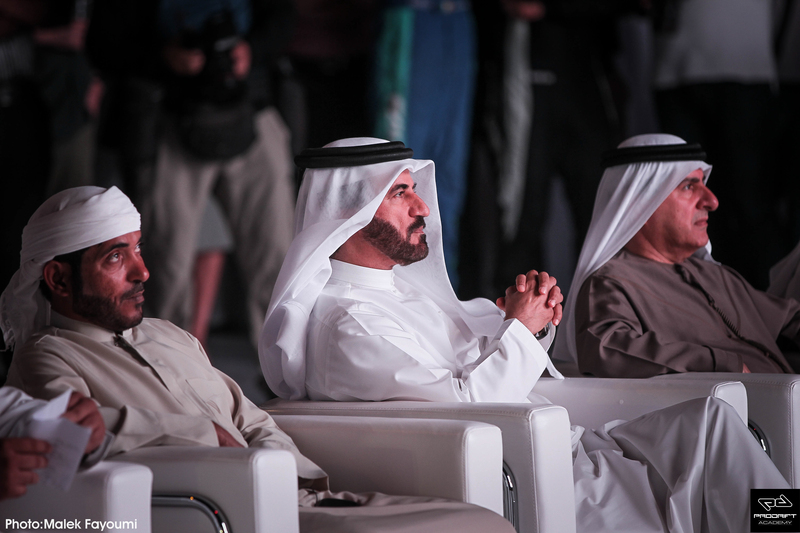 The success of the Academy within the UAE has enabled us to look at expanding the brand into other regions within the Middle East. 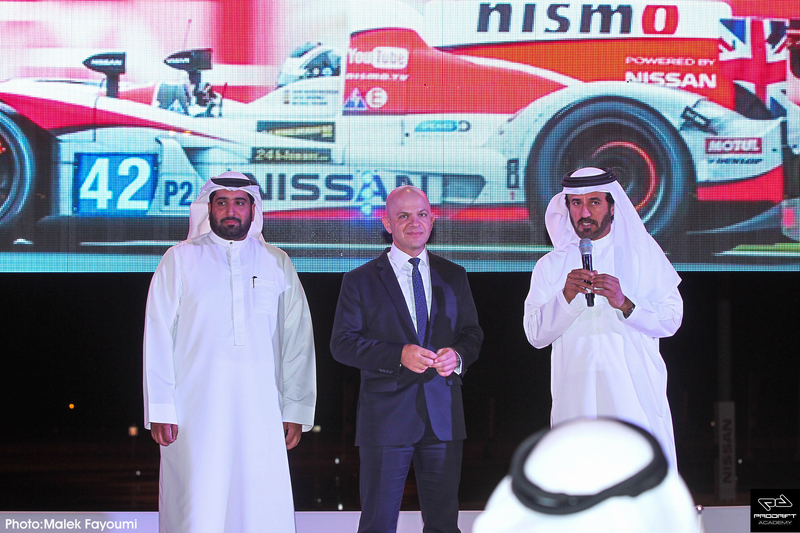 The launch of the Prodrift Academy in Saudi Arabia is testament to both the hard work of my own team here in the UAE and the team of Abdulhadi in Riyadh. It has been a pleasure to work with Abdulhadi over the past number of months, and I look forward to seeing the Academy grow in Saudi. 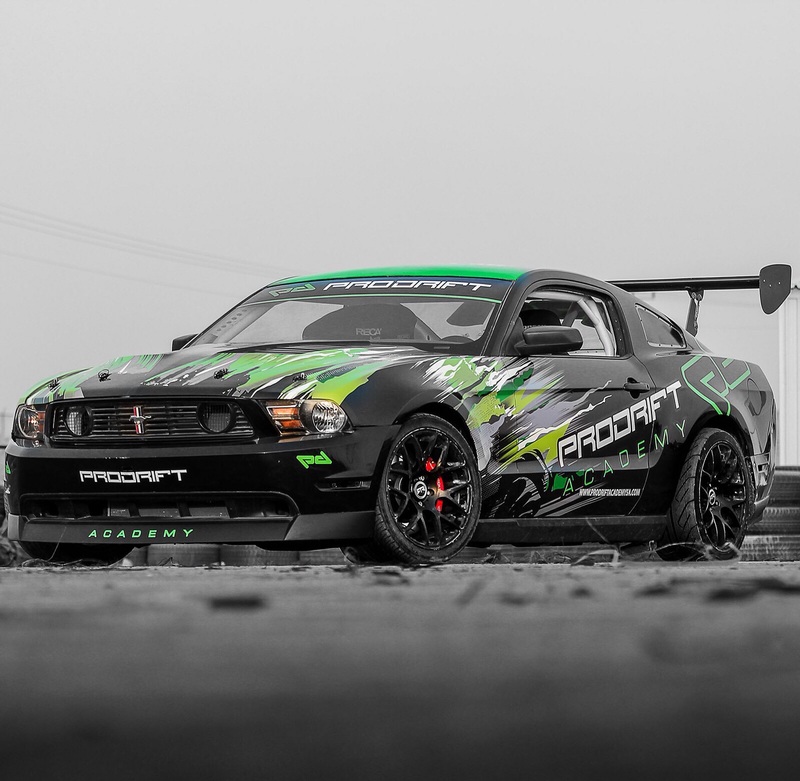 “The Prodrift Academy expansion in the Kingdom of Saudi Arabia, is a huge leap forward for the drifting as a motorsport here in the Middle East. The Saudi youth has great talent and passion towards this sport, and the Prodrift Academy will give them the opportunity to understand and practice professional drifting in a safe and controlled environment, thus elevating the standard and understanding of drifting within the community. 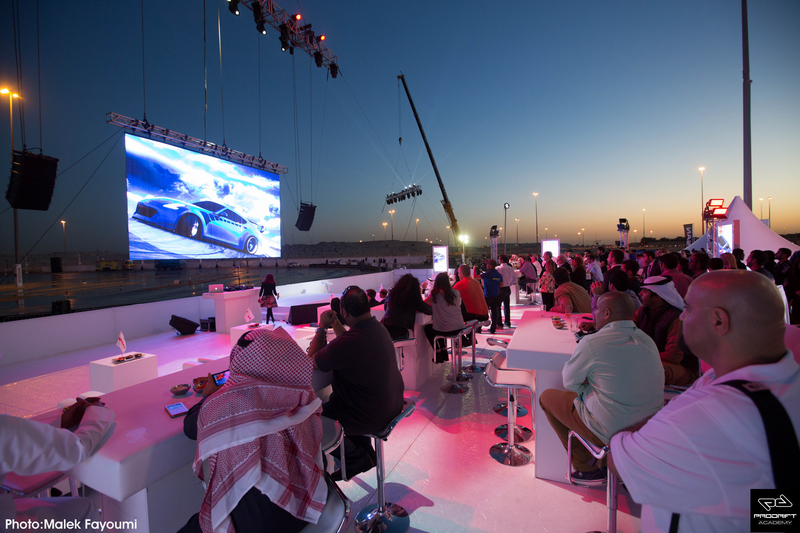 With a brand new website on the way, and dedicated social media platforms already up and running, the Prodrift Academy Saudi Arabia will be open for business shortly. 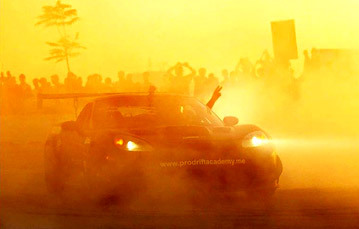 To keep up to date with their activities, check out www.facebook.com/ProdriftAcademySA. 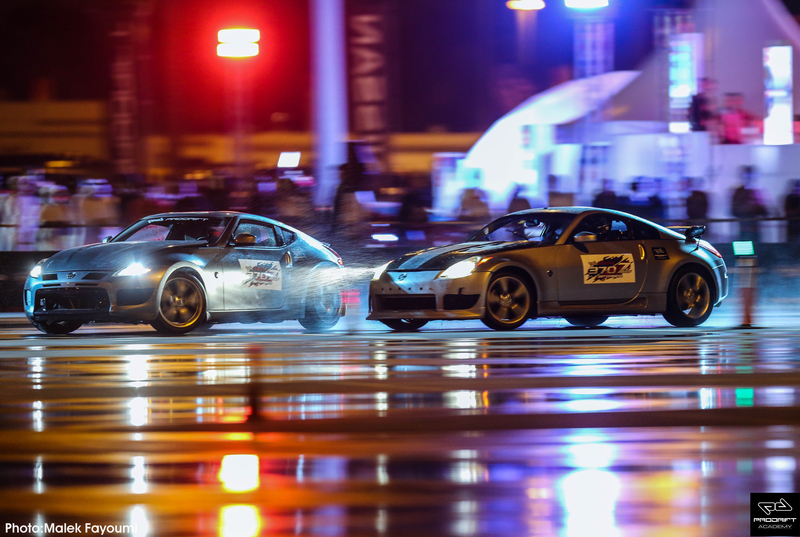 The Prodrift Academy is delighted to announce that we, alongside our partners at Nissan, set a new Guinness World Records achievement on December 14th for the World’s Longest Twin Vehicle Drift. 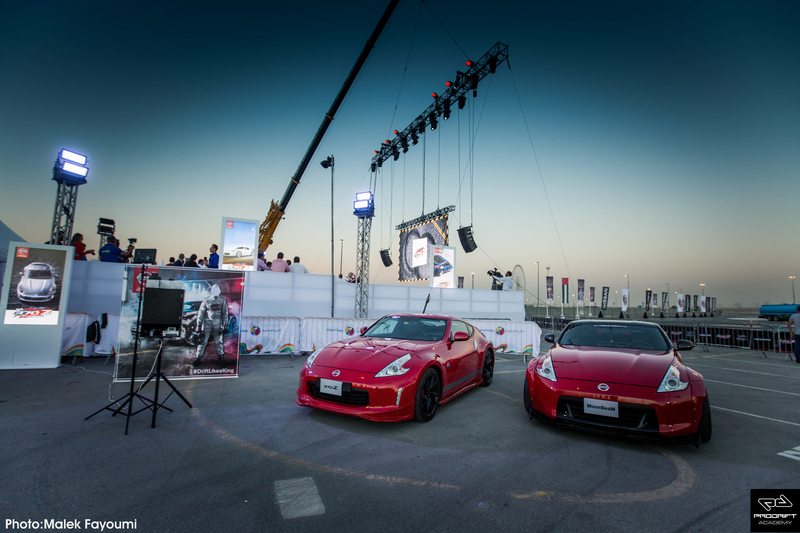 The record was set at the official launch of the Nissan 370z Drift Experience which took place at Global Village in the heart of Dubai. 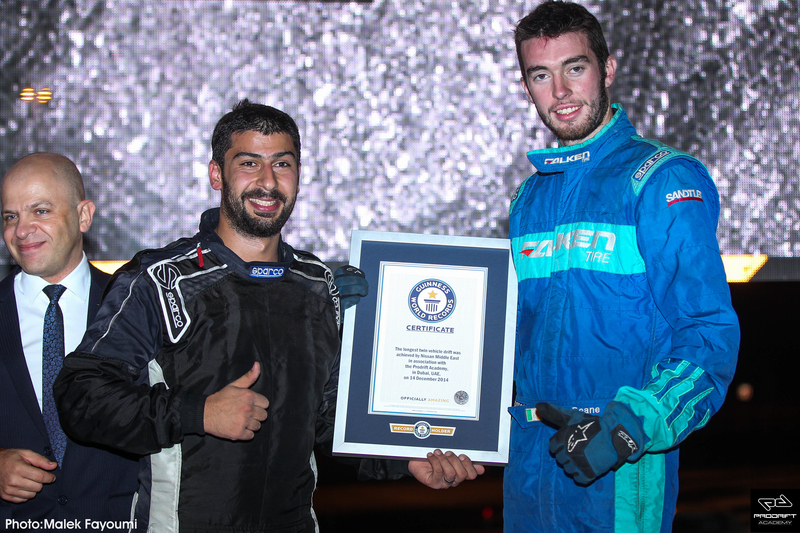 Following week’s of hard work and preparation, James Deane from Ireland and Ahmad Daham from Jordan completed 28.52 kilometers of twin drifting under the watchful eyes of the Guinness World Records adjudicators and the huge crowd in attendance to witness this historic event. 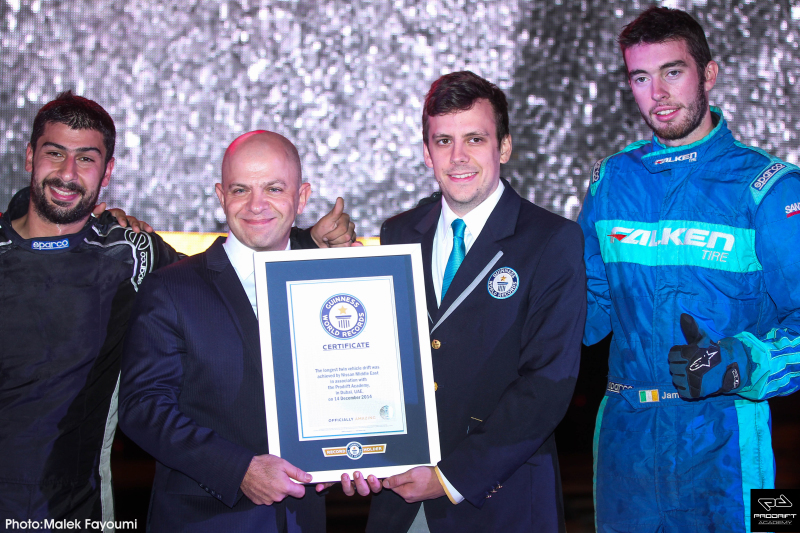 The record attempt was no easy task requiring immense focus and concentration from both drivers throughout the attempt duration. 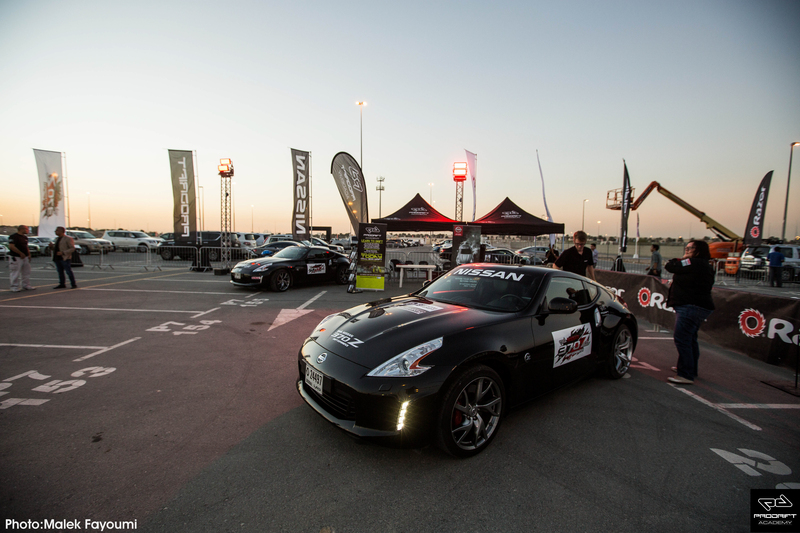 Utilizing the powerful Nissan ‘Z’ platform, Deane and Daham completed over 100 laps of the pre-determined course with over 200 transitions in just over 45 minutes, as both drivers drove their way into the history books in style. 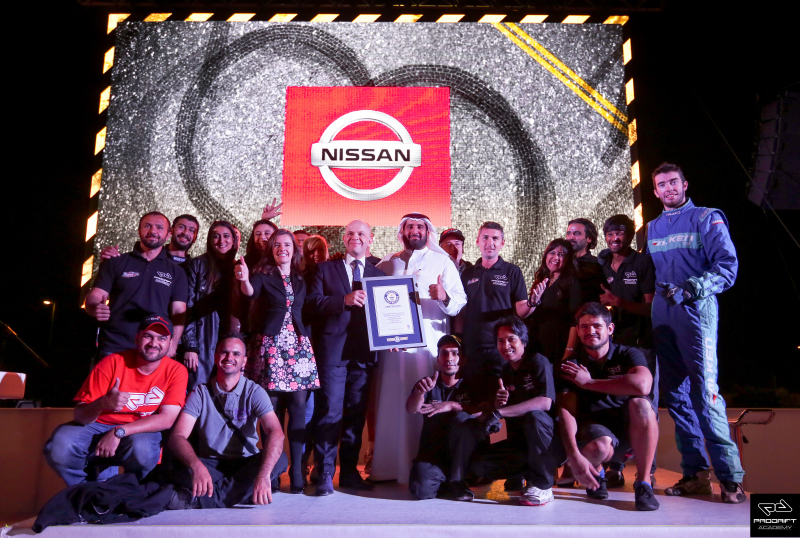 “I’m extremely proud of the hard work that has gone into achieving this Guinness World Records title by both the Prodrift Academy and the team at Nissan. We wanted a record that would be relevant to professional drifting and I believe we achieved that by setting a Guinness World Record in twin drifting, which is the pinnacle of the sport. 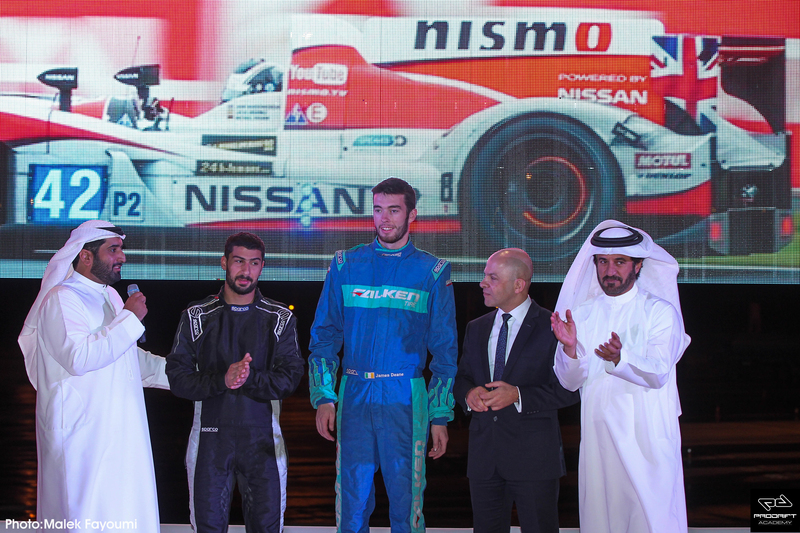 We brought two exceptionally talented drivers on board to set this record. Both James and Ahmad showed true professionalism every step of the way and it is down to their driving talents that we are now officially part of history. I would like to thank my entire team, the Prodrift Academy partners Royal Purple, Exedy, Zeetex, Sonax, Garrett Turbo, Razor and Global Village who backed us every step of the way and provided us with valued support. The biggest thanks of all must go to all of those at Nissan who believed in the Prodrift Academy. This record is testament to the hard work that has been put in by all parties involved every step of the way and further cements the progression of drifting within the region.